Invited review presented at International Astronomical Union /UNESCO Symposium 260 : The Role of Astronomy in Society and Culture, UNESCO Paris, 19-23 January 2009. How knowledge about astronomical universe was used to regulate human conduct in the joint Indo-Iranian tradition. How the religious and the ritualistic tradition influenced the astronomical pursuits. How astronomical knowledge in turn modified the extant mythology. Human beings are born astronomers. Ever since they learnt to walk upright they have looked at the sky and wondered. The sky has remained the same but not its meaning. We can distinguish between three phases in the history of humankind’s relationship with its cosmic environment: (i) propitiatory phase; (ii) negotiatory phase; and the current (iii) expository phase (this probably needs a better name). Each of these phases leads to and coexists with the next. To begin with, sky was home to divinities who were to be feared and propitiated. As time progressed, human beings felt more secure and became intellectually more alert. Earlier awe made way for curiosity. Skies were now scanned for discovering patterns in the behaviour of the divinities. The knowledge so gained was put to practical use and employed to establish a negotiatory relationship with the celestial bodies. The third phase , properly speaking, began exactly four centuries ago with Galileo. The cosmic environment was now be subjected to scientific scrutiny with a view to discovering and testing laws of nature. Earlier astronomy had measured angles; now it could talk of distances. The sky now acquired depth literally as well as figuratively. There is an interesting correlation between the world geopolitics and our view of the cosmos, which does not seem to have been noticed before. For a very long time, the model universe had a centre. The pride of place first belonged to the earth and then to the sun. Even when galaxies were discovered our Galaxy was believed to be the largest. It is in relatively recent times, in the post- World War II era, that the universe has truly become egalitarian. Interestingly, this cosmic scheme has been mimicked on the earth as well. When the universe was centric, the earth, or parts thereof, also had a power centre, be it local or on a larger scale. The Copernican principle now applies, at least in principle, on the earth as well. Is this a coincidence? Or is it that our perception of the cosmos influences the scheme of things on the earth just as this perception itself is fashioned by the situation on earth? My concern today is to discuss the interplay between astronomy and culture in general in the Indian context. Much of the discussion belongs to the negotiatory phase described above. I have advisedly used culture in the plural in the title. This is not so much to describe the scope of this review as to draw attention to its limitations. For a number of reasons, discussed in a different context elsewhere, most of the world attention on India’s past has focused on Sanskrit texts and the associated culture (Kochhar 2008a; Kochhar 2008b). We have no clues whatever to the astronomical knowledge prevalent during the various phases of the vast Harappan archaeological tradition the roots of which go back to the very beginning of agriculture and animal husbandry in what is now Baluchistan (Kochhar2000). Also the astronomical knowledge residing in the fields rather than in the archives and especially belonging to communities officially termed scheduled tribes needs to be examined in depth. New scholarship must go beyond the Sanskrit India. A discussion that involves ancient India must take note of the nature and limitations of the source material available. Scripts (Kharoshthi, Brahmi) were introduced into India about 3rd century BCE or some what earlier for writing Prakrit languages derived from Sanskrit. Script for Sanskrit itself, the language of Hindu scriptures, was adopted much later. Writing material came from plants or trees and had a short life. Paper was not introduced into India till about 8th century CE. The Vedic texts were in any case forbidden to be written. Ancient Indian intellectual tradition has been oral. Texts were in the custody of specialist caste groups who memorized them and transmitted them to the next generation by word of mouth. The extant texts would have been supplemented with explanatory “notes” to serve an immediate purpose. What was not considered worth preserving was lost for ever. Also, it is not possible to assign firm dates to any early event or development. It is therefore not possible to construct a connected account about any aspect of early India. We must cull relevant information from a variety of literary sources. Sanskrit provides texts at three levels. (i) The most important of these is the Vedic corpus, comprising priestly books composed by a large number of authors over a long period of time, which could be as much as two thousand years, say from 1700 BCE to zero CE (Kochhar 2000).The importance of the Vedic texts lies in the fact that scrupulous care was taken to preserve them in their original form. They are thus truly representative of the time of their composition even if that time is largely indeterminable. There are a few stray astronomical references in the Rigveda, but for our purposes the more useful is the Yajurveda which is a manual for actual performance of ritual. It contains some observational material, such as bright stars visible on the journey of the moon ( the nakshatras) as also reference to the colures. The Vedic texts constitute the heritage of Hinduism. The youngest texts, like Manava Dharma Shastra, or Manu Smriti, which could be as recent as zero CE plus minus, represent transition to Hinduism proper. (ii) The texts associated with Hinduism as practiced are the Puranas and the two epics, Ramayana and Mahabharata. They were narrated to the public at large and used to be recast to suit the prevailing requirements of the narrators as well as the listeners. Interestingly only additions were made, no deletions. (iii) In addition there are scientific corpus dealing with astronomy ( as also with health care, that is Ayurveda) which underwent deletion as well as addition. So far we have listed sources in Sanskrit ( the term is used loosely to include pre-Sanskrit). (iv) In addition valuable information comes from Buddhist and Jain sources. The former include material from outside India. The eternity around us has stood in sharp contrast to the short time-span of the human beings themselves. This chasm has been sought to be bridged by denying death finality. The “burial cultures” have postulated the physical rising of the dead, while the “cremation cultures” have distinguished between the body and the soul, and spoken of the indestructibility of the latter. There is a beautiful concept linking the divine with the human that goes back to the joint Indo-Iranian times. Called rta in the Rgveda and arta (or asa) in the Avesta, it refers to the cosmic order, not in the sense of impersonal laws of nature as ascertained from the outside, but as an example of righteous cosmic conduct which the humans should emulate. The sun, moon and other geocentric planets dutifully and predictably orbit around the earth. (Their predictability was a source of comfort, in contrast to the sudden ill-omened appearance of comets, meteors, etc.) The laws regulating the behaviour of these divinities are inbuilt into the system. But similar regulation of human conduct can come only from an explicit prescription of a code of ethical conduct. Emphasis on rta / arta is far more pronounced in the Avesta than Rigveda. To bring the terrestrial and the celestial closer together the Vedic people assigned the attributes of one to the other. Planets return to their place in the sky; so do seasons on the earth. But human beings are born and die. In analogy with the planets, human beings should also have continuity. To achieve this, the concept of reincarnation was introduced. But in a certain sense planets are condemned to a life of incessant motion. An endless cycle of birth and death would be a punishment rather than a boon. Therefore the concept of what we may call truncated eternity was introduced, under the name moksha or nirvana, whereby a soul is liberated from the constraints of future birth. Far more important were the human attributes assigned to the gods. The concept of age, birth and death was introduced for the cosmos as a whole, and a cosmic chronology in the form of the yuga system was constructed by suitably scaling up the human calendar. The eternity of the planetary orbits was generalized to set up an oscillating universe without beginning or end. For the mathematically oriented brave hearts, the technical details are explained in Appendix I. Here we may notice some important features of the scheme. 1 Brahma’s day=4.32 billion years. Ancient Indians were probably the only people talking of such large numbers and of the endlessness of the universe. These numbers have been noticed by modern cosmologists in their textbooks as the cosmological timescales indeed turn out to be of the order of billions of years. ü Virtue decreases down the ages in the ratio 4:3:2:1.
ü Duration of the individual ages also decreases in the same ratio. ü Kaliyuga is thus the shortest. ü We are currently in the kaliyuga. The scheme must have been found very attractive because it was used in entirely different contexts with the same terminology. These long ages were employed in astronomy. The terminology of the four yugas was also employed by the Puranas to periodize political history going back about 100 generations. This has caused much contemporary confusion. The scheme was formulated in the kaliyuga itself. It is significant that the present age was postulated to be the kaliyuga. We are now in the worst of times. Things can only improve. Imagine, if we had been placed in any of the earlier yugas, things would have had to deteriorate further before they could improve. It is thus an inherently optimistic scheme. During the movement against the British rule in India, the dark kaliyuga’a making way for satyayuga was repeatedly invoked to enhance nationalist consciousness. A pioneering name in the systematization of the post-Vedic astronomy was Aryabhata (b. 476 CE). Indian mathematical astronomy , which we may call Siddhantic (since the astronomical texts were called Siddhanta, proven in the end), focused on calculating geo-centric planetary orbits and especially the lunar and solar eclipses. From 6th century CE till Kepler’s time , Indian astronomers were probably the only ones who could calculate eclipses with any degree of accuracy. The unbroken tradition was alive till as recently as 19th century. A Tamil astronomer computed for John Warren , a French astronomer in the service of British East India Company, the lunar eclipse of 1825 May 31-June 1 with an error of +4 minutes for the beginning,-23 minutes for the middle, and -52 minutes for the end ( Neugebauer 1983:435). An Indian astronomer adjusted his parameters and obtained satisfactory match between the calculated sky and the actual sky. This match would disappear in a few centuries. A brilliant astronomer then appeared on the scene , and reworked the mathematics. Remarkably although the physical goal was the same different astronomers ended up setting up and solving different equations. Mathematics was a tool for planetary calculations. There are very few full-time mathematicians in the Indian tradition ( Kochhar 1993). Use of early astronomical data in the ritual profoundly influenced the later course of astronomical developments. The yuga system with its nomenclature was borrowed by the astronomers. Thus the Surya Siddhanta would say that there were 146,568 revolutions of Saturn in a mahayuga, implying an orbital period of 29.4743 years. Interestingly, at places Aryabhata chose to deviate from the Vedic yuga scheme. He split a mahayuga into four equal parts. Also , he set his kalpa equal to 1008 mahayugas (instead of the Vedic 1000). Since 1008 is divisible by seven, all kalpas, each 4.32 billion years apart will begin on the same day of the week. Some far sight indeed ! Like the (( divine) Rigveda astronomical texts were composed in verse, so that an astronomer had to be a Sanskrit poet first. Constraints of metre forced astronomers to use synonyms and take recourse to allusions. This introduced ambiguity at places. More importantly only conclusions were preserved and not the arguments leading to them. Generally speaking there was a tendency to present astronomical results as revealed knowledge rather than deduced. As an analogy, we may note that we know about the deeds of revolutionaries fighting for India’s freedom from the charge sheets filed against them by the colonial government. If astronomy had followed a prose tradition (as was the case with post-Vedic Upanishads) some later scholars could have revived and expanded on Aryabhata’s hypothesis. Indian astronomers were not aware of the precession of equinoxes. A creative astronomer would adjust his parameters so that his computed planetary orbits matched the observations. With the passage of time the computed sky would differ from the actual. This ar necessitated the arrival of a new mathematician – astronomer on the scene. Ancient India astronomical effort was society oriented rather than sky oriented. Its aim was to prepare almanacs pinpointing auspicious times for social and religious purposes. It is certain that most if not all students who learnt astronomy did so to become practising astrologers. The ancient astronomical texts were unambiguously attributed to their named authors. But at the same time their contents were incorporated into traditionally-named texts that were passed off as having been revealed to the chosen ones (e.g. Surya Siddhanta). This pretension to divine connection no doubt increased the astrological market value of the texts and ensured funding of astronomical activity by the society. Aryabhata’s influential and pioneering work closes with the stanza : “This work , Aryabhatiya by name,is the same as the ancient Swayambhuva [i.e. revealed by Swayambh] and as such it is true for all times. One who imitates it or finds fault with it shall lose his good deeds and longevity “. It has been argued-and with justification-that a man of Aryabhata’s known scientific approach could not have made such a pompous and intimidating statement. While this argument exonerates Aryabhata, it does indict his later-day followers , and tells us about the atmosphere in which such a statement could be made and attributed to Aryabhata himself (Kochhar 1993). Traditional almanacs in current use still use old prescriptions. They have accumulated an error of 23 days due to precession of equinoxes, but nobody seems to mind. The reason is that phenomena like ingress into a zodiacal sign are not visible to the eye. Since eclipses can be timed now with great accuracy, their computation is not done traditionally but on the basis of modern algorithms. Much of the contemporary interest still centres on the astrological universe. ( Use of high technology as represented by the computers along with the insecurities introduced by globalization seems to have lent new legitimacy to astrology.) The interest in the progress since, for some reason, extends only to black holes and the origin of the universe. This is probably so because here the difference between the layperson and the expert gets blurred. All astronomical developments in between commonly leave the laypersons rather unenthused. We have already seen how astronomical tradition was influenced by the Vedic. But the traffic was two-way. Early Vedic mythology attributed the eclipses to a demon Rahu, who is explicitly named in Atharvaveda. Chhandogya Upanishad declares that a soul which has acquired pure knowledge is liberated from the body like the moon becoming free from Rahu. ( Kane V.1: 569) The correct mathematical theory of eclipses, which probably made its appearance in India about 100 BCE or so , points out that for an eclipse to occur the moon should be at one of its nodes, that is, at one of the two points where the lunar orbit intersects the ecliptic. The term Rahu was borrowed from the Vedic texts and applied to the lunar node, especially the ascending node (when the moon crossed the ecliptic moving northwards). The other node was termed Ketu. Maitrayani Upanishad mentions both Rahu and Ketu ( Kane V.1:569). Incidentally this also tells us that the Vedantic part of the corpus was still open say about zero CE. At a more popular level an elaborate mythology was created to cut the old single demon Rahu into two . The head retained the old name while the torso was called Ketu. Subsequently the concept of Rahu and Ketu travelled outside India also. Burma knew of Rahu as Yahu ( Kochhar 1990) Interestingly, in China while Rahu stood for the ascending node, Ketu denoted the lunar apogee, an identification not known in India. The Rgveda uses yuga in the sense of a time-span, an age, or a generation. Vedanga Jyotisha refers to a five-year yuga. Atharvaveda mentions in order 100 years, 1000 years, ayuta (10,000 years) and then two, three or four yugas. This suggests that a yuga here means an ayuta. The yuga-system as now commonly understood is set forth in the relatively late Vedic text Manusmrti (1.68-1.86), and expanded in the various Puranas. In the Vedic times, a year comprised 12 months and 360 days. A human year was set equal to a day of the gods, so that a divine year (Dyr) would consist of 360 human years (yr).The divine year in turn was used to construct an elaborate chronology. A mahayuga or chaturyuga (great age or four-age) was postulated as made up of four sub-ages or yugas: kaliyuga, dvaparayuga, tretayuga and krtayuga, with lengths in the ratio 1:2:3:4. The names are significant. The two middle ones obviously refer to the second and the third. The names of the two end yugas are taken from the game of dice, kali referring to one, and krta to four. The numbering is thus backwards, kaliyuga being the shortest and the latest. Let us call 71m a Manvantara (Manu’s interval) so called because this span is presided over by a ruler designated Manu. (There are thus 14 Manus.) We can now describe a kalpa in words. A kalpa begins with a dawn equal to a krtayuga. This dawn is followed in succession by 14 Manvantaras, at the end of each of which there occurs a deluge (pralaya) lasting a krtayuga. This complex scheme has perplexed many modern-day commentators. Thus, Ebenezer Burgess in his famous 1860 annotated translation of the Surya Siddhanta declared: “Why the factors fourteen and seventy – one were thus used in making up the Aeon [kalpa] is not obvious” (Ebnezer 1860:11). I think this scheme was constructed working backwards from the neat round figure of 1000. Kalpa becomes the basis for constructing a chronology for Brahma, the supreme creator. A kalpa is set equal to Brahma’s day or night. 360 kalpa pairs define Brahma’s year, 100 years making his life-span. Currently, we are in the midst of Brahma’s life. He has completed 50 years of his life. In the current kalpa seven out of the fourteen Manvantara are over, and so on. THE United Nations has declared the year 2009 as the International Year of Astronomy (IYA 2009) to commemorate the 400th anniversary of the astronomical use of telescope by Galileo Galilei. The proposal was formally submitted by Italy, Galileo’s home country. UNESCO has been designated the lead agency for IYA2009. International Astronomical Union, an organisation that brings together about 1000 astronomers from all over the world, will act as the facilitating body. Contrary to common public perception, Galileo is not the inventor of the telescope. The invention was accidentally made in 1608 by a Dutch spectacle maker, Hans Lippershey, who by chance combined a convex lens and a concave lens and noticed the magnification of the image of an object. It should, however, be noted that Lippershey’s claim for a patent was turned down on the ground that the invention was in the air. The invention of the telescope belongs to the realm of romance of history. It would certainly make a good topic for a quiz contest. But it was its astronomical use the next year that constitutes a benchmark in the world history. 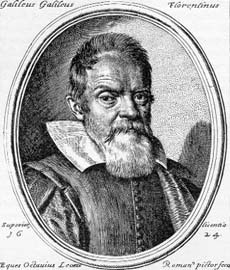 As soon as the news of the chance discovery reached Galileo, at the time mathematics professor at the University of Padova, he worked out the scientific principles and made the world’s first designer telescope. Interestingly, Galileo did not immediately turn his sight on the heavens. He brought his telescope to the capital city of Venice; showed to the Senators how with its help enemy ships could be sighted hours before they became visible to the naked eye; presented it to them; and got a reward and a raise in pay. It is only then that he made use of it in astronomy The astronomical telescope initiated a revolution the impact of which has gone beyond astronomy and science. The 400th anniversary of the event provides us with an opportunity to renew interest in and enthusiasm for astronomy, which is truly a world science. So far, 99 nations and 14 organisations have signed up to participate in IYA2009.The event will highlight global cooperation for peaceful purposes and aims to convey to the citizens of the world , especially the youth, the excitement of personal discovery and the merits of the scientific method. Countries like India, with a long and well-respected astronomical tradition, should make a special effort to celebrate the year of astronomy . From Aryabhata’s time till that of Kepler, for about a thousand years Indian astronomers were probably the only ones anywhere in the world who could predict lunar and solar eclipses with an accuracy of a few hours that was remarkable for the time. The tradition was alive in Kerala as recently as 200 years ago. Sawai Jai Singh’s early 18th century masonry observatories in Delhi and Jaipur, commonly but wrongly dubbed Jantar Mantar, were inspired by Ulugh Beg’s Samarqand observatory, though they contain some original features also. These observatories were, however, never really used. The world’s first modern astronomical observatory outside Europe was set up in Madras in 1786. Meghnad Saha showed theoretically in 1920 that the spectra of light from far-off stars could be understood using the laws of nature as formulated on the earth, by postulating extreme physical conditions in stellar atmospheres, This work transformed the cosmos into a laboratory. Today, astronomy is a child of high technology , but as a cumulus, it represents the joint civilisational heritage of the humankind. It is hoped that the UN-sponsored Year of Astronomy will further the cause of science as well as of international cooperation. Dr Rajesh Kochhar is the Organising Secretary of the International Astronomical Union’s Commission on History of Astronomy.